While looking ahead to the new season, often expectations and predictions are marred with a clear bias. Every supporter thinks that either it’s their year or at the very least that they will fare better than one or more of their rivals. So rather than publishing Arsenal supporters’ views on their club, supporters of their rivals have shared their opinion on what they think of the Gunners ahead of the new season. What are Arsenal’s objectives this season? Zac (The Invisible Men): To realistically compete for the League title and get past the quarters in the Champions League. More silverware would be nice, but the priority should be a real title challenge that lasts all season. 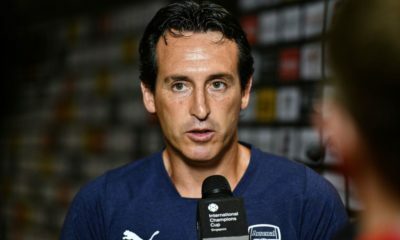 Sami (Shankly’s Men): Given their lack of a sustained title challenge over the last few seasons, and the additions they have made, Arsenal should/will be looking for nothing short of the Premier League crown. To play it down to anything less would be rather disappointing from Arsenal, as one would expect them to be more ambitious than just top four again. Nikhil (Under the Bridge): Arsenal, after finally having broken the trophy less drought are raring for more. Arsene Wenger has made good additions to the squad, but realistically a top four finish once again should be the main objective but if some last minute signings were made, they might just be sneaky underdogs for the crown. Rahul (The Devils’ Advocate): The league title might be a step too far but Wenger will expect his side to sustain their title challenge for longer than last season. With excellent acquisitions and a maturing squad, Arsenal should challenge for the title. Zac (The Invisible Men): They’ll play beautiful football, but will the results (and consistency) come with it? They’ve bought, and bought well at that, but have they strengthened their areas of need – namely, centre-forward and defensive midfield? I’m not convinced. Sami (Shankly’s Men): Although this Arsenal side looks strong, i’m not completely sold on them. Their midfield & attack looks mouthwatering, but I see a lack of depth & options in defence and this might hold them back. Though they should aim for it, a title is too far and they’ll once again compete for a Champions League spot in a three-team race for 3rd & 4th. Nikhil (Under the Bridge): Arsene Wenger prides himself on the imaginary “4th place cup”. He looks to retain it again for the fifth time in a row unless a big upset is on the cards. Why not add another FA cup in there? Rahul (The Devils’ Advocate): Third. Not in danger of slipping out of the Champions League spots but at the same time not as strong as City or Chelsea. A good, young squad that will only get better, but this is a season too soon for them to win. Who do you think will be Arsenal’s key player? Zac (The Invisible Men): Ramsey. Özil might be the star name, but Arsenal’s biggest turning point last season was Ramsey’s injury on Boxing Day. He’s not afraid of the spotlight and seems to relish the big moments (as his FA Cup winner last May would prove). Sami (Shankly’s Men): The sudden rise of Aaron Ramsey last season was incredible to watch. He remains a personal favourite in the Arsenal side and I agree with Zac, his injury proved to be the most costly last season. If he maintains fitness, then his influence on the side will be incredible. Also felt his injury concerns kept the captain’s armband away from him. Nikhil (Under the Bridge): The new boy Alexis Sanchez with Big things expected out him with a hefty price tag. Mesut Özil too will be vital to a good season for the Gunners. Rahul (The Devils’ Advocate): Özil. After a blistering start last season, he fell away as he felt the physical, demanding nature of the Premier League. With a season under his belt and the addition of a quick, mobile attacker like Sanchez, expect Özil to rack up the assists. What is Arsenal’s biggest weakness? Zac (The Invisible Men): Centre-forward; Giroud and Sanogo still don’t look like a Premier League winning strike-force to me. Sami (Shankly’s Men): Despite the signings, depth has been an issue particularly in central defence. Per Mertesacker and Laurent Koscielny have formed an excellent partnership but there literally is no one behind them. Calum Chambers comes in as a make-shift back-up but that’s about it. An injury to either or even lack of fitness could prove lethal in their season. In fact, I believe an injury to one of them will be the reason for their season falling apart. Nikhil (Under the Bridge): Arsenal’s weakness for long now has been the lack of a pure “destroyer” in midfield. Passing Mikel Arteta as an anchorman will surely continue to hurt them unless they sign the long awaited likes of Lars Bender or Sami Khedira. Rahul (The Devils’ Advocate): Defensive midfield, they lack a real ball winner that can win possession for their ball players. What do you think of Arsene Wenger as a coach? Zac (The Invisible Men): He’s an icon in the Premier League and he’s consistently had Arsenal playing the most attractive style for the last decade. I don’t think he’ll lose his job, but if City, Chelsea, United and Liverpool were to finish in the top four at Arsenal’s expense, the #WengerOut crowd would be hard to silence. Sami (Shankly’s Men): You have good coaches, and you have good tacticians, but above that, Arsene Wenger is the best pure ‘manager’. Right from a hold on finances to man management, he ticks the right boxes. His trophy drought is well documented but for a sustainable future and a moderately successful present, he is the perfect man. Unless a complete disaster, his job should be safe, but given the expectations built and investments made, he may have to achieve something more than usual. Nikhil (Under the Bridge): Arsene Wenger signed a new contract at the Emirates in May, so an immediate retirement is out of the cards. But this season will definitely play a key role in his future at the club as it remains to be seen if the board and the fans will tolerate a trophy less year, or one without a genuine title challenge. Rahul (The Devils’ Advocate): One of the managerial greats regardless of Arsenal’s trophy drought over the majority of the last decade. Love the football Arsenal plays. Will be safe as long as they get their 4th place trophy. Zac (The Invisible Men): Calum Chambers. Sami (Shankly’s Men): It’s rare that I’m struggling to find a quality youngster who could make an impact in the Arsenal side. Such is the squad they’ve gathered. But given that lack of defensive depth, young Calum Chambers certainly is one who will feature regularly, occasionally at full-back, probably more so centrally. Nikhil (Under the Bridge): The excitement over Alex Oxlade Chamberlain may have simmered down a bit, but he’s still raring for a go. 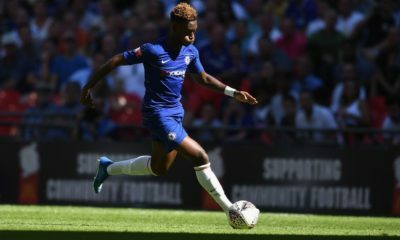 He might find it hard to break into the starting team with Sanchez adding to their already overflowing midfield talent, but when he is given a chance expect him to grab it with both hands. Let’s not forget young Yaya Sonogo too, with Arsenal most likely not going in for another striker, the young target man in the mold of Emmanuel Adebayor will get ample chance to prove his ability and chip in with his bit of goals. Rahul (The Devils’ Advocate): Arsene Wenger’s ridiculous inability to bring in another number 9 to challenge Olivier Giroud means that Yaya Sanogo is really the only other genuine striker for the Gunners. I don’t rate the Frenchman highly but Wenger clearly does; while he is unbelievably clumsy his pace and strength could be dangerous late in games chasing a goal. What do you think of Arsenal’s transfer activity? 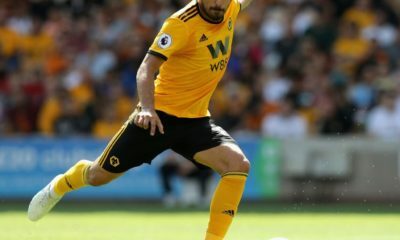 Zac (The Invisible Men): It’s been eventful, but they still haven’t upgraded at striker or defensive midfield, and both of those positions look weak. Sanchez will be electric, but he likely can’t play as #9, which means Giroud will again be counted on. I also remain skeptical that Debuchy’s better than Sagna. Sami (Shankly’s Men): Alexis Sanchez made the statement, Ospina offers good depth, Debuchy isn’t much of an upgrade, Chambers could be a long-term masterstroke. Despite the signings, they still remain some three players short. Lack of a striker and defensive midfielder has been documented, but their shortage in central defence is worrying. Neither has there been any indication that one could come in. Rahul (The Devils’ Advocate): Another rival who has made excellent summer acquisitions. I wanted Sanchez almost as much as I want his midfield compatriot and he gives them options all across the front line. A midfield destroyer could catapult them from challengers to potential winners. Give a read to all our Dial Square articles.